10 reasons we think Frankincense is FREAKING AMAZING!!!! gold and Frankincense is still used in churches to slow breathing and gain a meditative state in prayer which leads me into the reasons why it is an oil I use and recommend more than most. 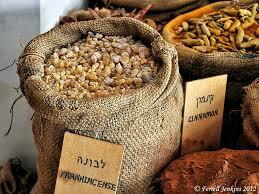 Lets look at what I consider to be the 10 most amazing benefits of Frankincense oil. 2 – SO very healing – It is cytophylactic which means VERY healing so it mixes well with lavender and is especially good for damage from the sun – massage works best so the oil stays on the skin. 4 – Dries up fluid and puffiness, a wee bit more gently than cypress but the two work really well together – compress, bathing, shower and massaging. 5 – Foggy head remedy… Be this a headache, overwhelm, scattered thoughts or pretty much anything along these lines – rub a drop of Frankincense into your temples and feel the tension just fall away… Take a 5 minute pause while you do this to allow it to do its best work. 7 – Gain Focus – Frankincense helps you channel your focus and energy into whatever it is that needs your attention by improving your concentration. 8 – Defend and soothe your body – it increases the activity of Leukocytes, defending the body from infection. Its also PERFECT for healing new cuts and pretty much anything that hurts be that sore muscles or a new scratch! Frankincense is a healing master! 10 – Reduce Anxiety – pop a drop into your hands and rub them together then hold your hands up to your nose and breathe calmly. Yes the slow calm breathing is also helping to tell your body everything is ok but this double duo will soon become your go to treatment if you are dealing with something difficult. There are seriously limitless uses for this incredible natural resource and its just more proof that nature will provide. There are 14 oils we have chosen to sell as individual oils because of the benefits they can provide for you and your family and your overall skin, mind and soul wellness. Introducing essential oils into your daily life will change your life as you know it. I promise you this. Lets be the VERY best version’s of us that we can be starting right NOW and lets do it together!